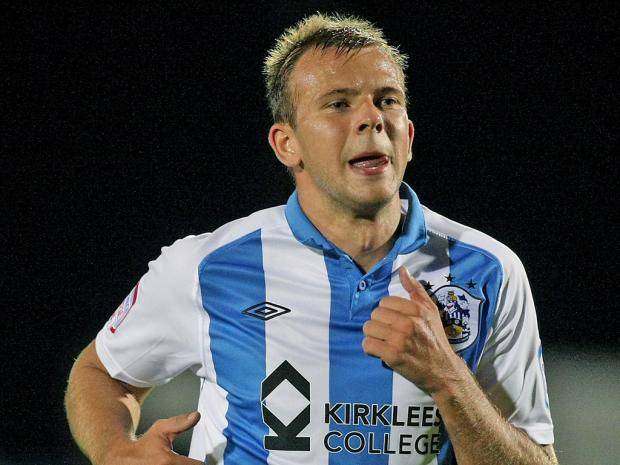 Steven Gerrard has been linked with a move for Sheffield Wednesday’s 28-year old Scotland striker Jordan Rhodes. The Rangers manager is said to be an admirer of the forward who a few years ago was hot property and high stock with 3 goals in 14 caps for his country, but who has been mostly consigned to the EFL lower leagues such as the Championship and lost his place with the national side too. His record last season was also been underwhelming, with just 6 in 31 appearances for the Owls, and one gets the impression the hitman could use a new direction in his career to get back to something like what his reputation a number of years ago indicated he would. With 196 goals in 424 career matches, Rhodes most definitely knows how to score and with Rangers seeking some new blood up front, the ex-Blackburn striker could well be a shrewd signing for Gerrard to make. Contracted till 2020, Rhodes once cost around £10M and is said to be presently worth in the region of £5M but it is likely Gerrard could get him for less than that. We shall see if he follows the reported interest up. Take him on a 12 month loan, tell McBurnie we will see him to sign a pre-contract on the 1st January. A lot will depend on how many striker SG feels he needs. McBurnie, Morelos, Hardie, youth player would be enough imho but Hardie may not get a shot. We will also have Dorrans or Windass as a support striker, although if we bring in a left winger we may want to sell Windass and move Murphy inside. Dorrans may struggle to get a game. This does not include Cummings as don't know yet whether he is wanted. We also don't know if Morelos is staying or not. Agreed except I would rather have Morelos than Cummings. I like both, but one of them ragdolls defences for fun on his own and the other needs a strike partner. Unsure how we will set up and if money is tight, I would note that Hardie has as good a record as Cummings - both have done well in Championship but unproven elsewhere - and will cost nothing and less in wages. Good God 5m for him let's hope not. If Jason Cummings can get a game before him for Scotland and it looks apparent were not interested in him for 1m and 6 years younger, where's the logic in blowing that kind of money? Much better to be had for 5m and I'm sure Gerrard & Allen will want better. Honestly after the Skertl clusterfuk I doubt very much they will be showing there hands again. £5m for a player who has never cut it outside the Championship in England and appears to be going backwards? Better spent elsewhere I think.